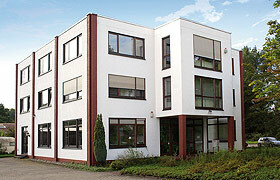 Founded in 2006, Lensation GmbH specializes in the manufacturing, distribution and design of industrial lenses. We provide free of charge consulting about lenses, illumination, optical components and Smart Cameras. In addition we offer a wide range of optical products. You’re searching products you couldn’t find yet? Ask us! What we can’t offer you yet, we’ll find for you. Name the product specs and the target price – usually we can provide the desired product. And if “your” product really ain’t available, we design it for you! Exclusive OEM designs are possible, or just job order production. We care about your constraints like the product specs, high quality and good prices. no risk! If we can’t deliver according to the specs, there’s no cost for you.